Funeral CatererGood food, cooked with care and served with discretion. We have devised a set menu for funerals that has foods that will suit most people and hopefully this will make it easier at what can be a very difficult time - as you can see service of tea/coffee/drinks can also be provided thus making the funeral tea easier for you to manage. But if you would like to view other buffet menus or buffet platters or would like a hot knife & fork buffet then please do - all menus are interchangeable. As you can see, service of tea, coffee or drinks can also be provided thus making the funeral tea easier for you to manage. 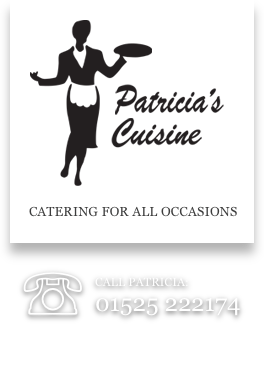 But if you would like to view other buffet menus or buffet platters or would like a hot knife & fork buffet then please do; all our menus are interchangeable. All above inclusive of paper or china plates, cake forks, white serviettes & banquet rolling of the main table if required.